Together Before At This Low Price! Announcing: Your Professional Leadership Power Tools! Everyday, managers everywhere, in every organization, invest much of their time worrying about improving their leadership effectiveness, leveraging human capital, enhancing their talent pool, encouraging their people to be innovative or achieving their organization's strategic objectives. While there may be overwhelming amounts of data proving the reality of those "problem areas", we are convinced the following packages will enable you to discover new opportunities and craft realistic "solutions"! 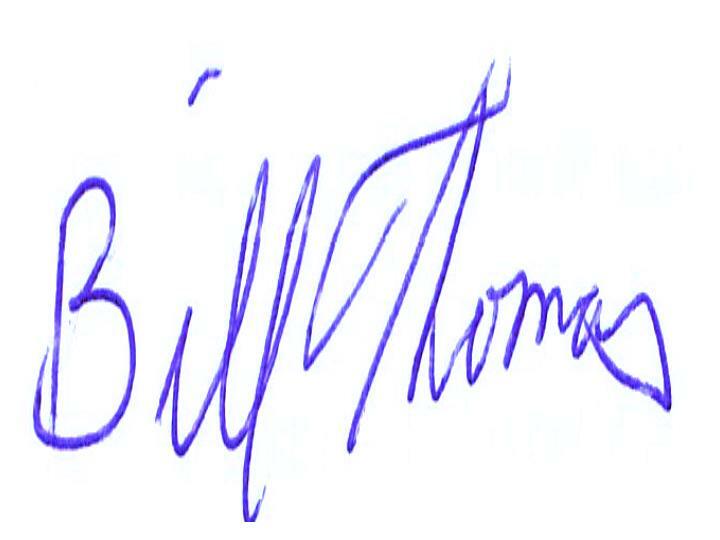 Assess or measure the progress and efficacies of your solutions. Executives and professionals from all over the world use our materials to take control over their challenges, develop comprehensive approaches and transform their obstacles into tangible accomplishments! This power-packed, "How-To" Handbook includes 12 practical diagrams, planning charts and educational action sheets. It is an Executive-level Guide which examines, evaluates and reveals the essential behaviors, attitudes and processes used and mastered by highly successful innovative leaders in business, social and government organizations. You will become the "innovative leader" this globally-competitive, innovation-driven, Knowledge Economy needs you to be! Hurry and pick up your own copy of this revolutionary Executive Guide - at our low introductory price and energize the power of your innovative leadership! 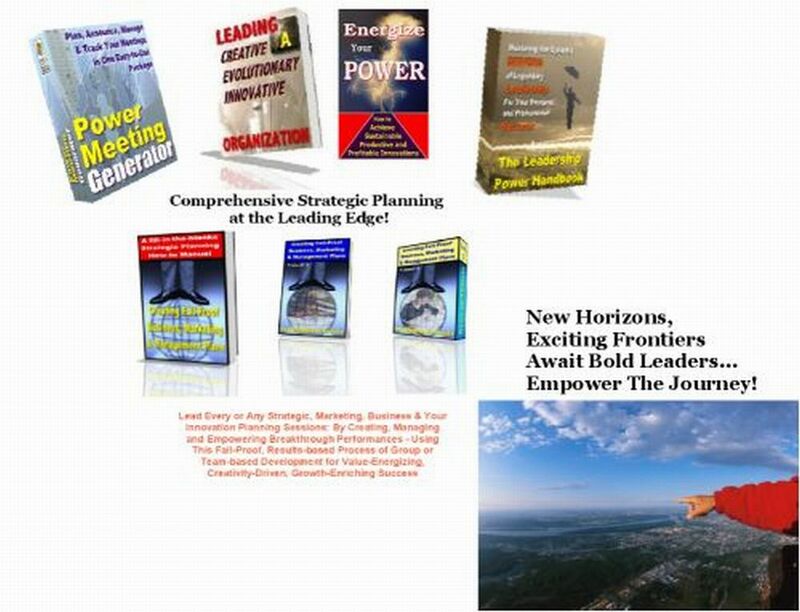 Our Dynamic Leadership Power Package features the 2-Volume "Breakthrough Strategic Planning Workshop Toolkit", our "Leading A Creative Evolutionary Innovative Organization" manuals, my 1500-page "Leadership Power Handbook with Gift Set" including 17 Bonus Personal-Power books, our "Energize Your Innovative Leadership Power" Executive Guide, and the "Power Meeting Generator" software to turn all your meetings into enormously creative, productive, profitable, results-producing events! 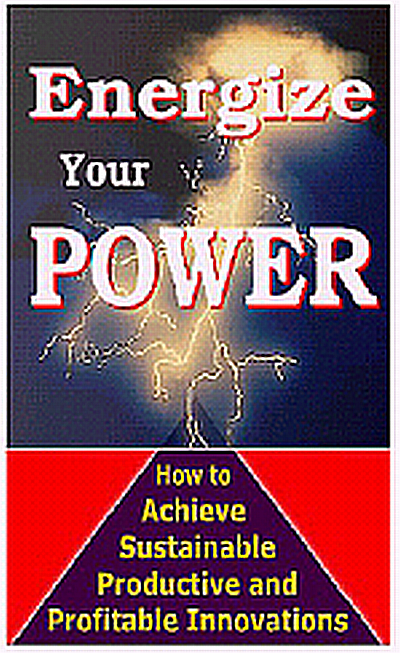 I just read ["Energize Your Innovative Leadership Power!"]. It is thoughtful and well presented. It is especially applicable to those people who get so busy running their own companies/organizations that they don't have the time to research how they might or should be improving. - All the best." P.S. - These are one-time only offers for our Special Friends. You will not see this page again, so we urge you to take advantage of these amazing deals, and save yourself a bundle. 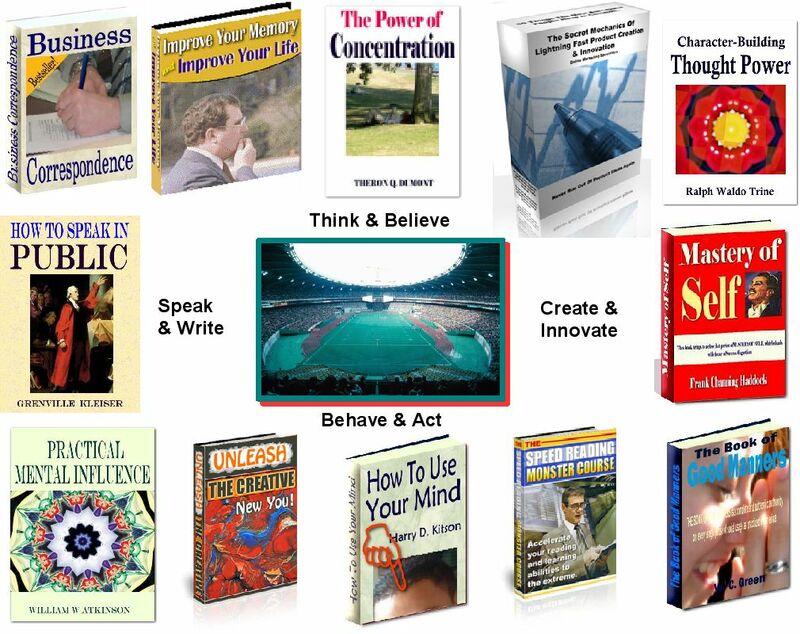 Go ahead and secure your copy of these professional improvement books, tools and materials. You won't see this page again, so please take advantage of this right now. No thanks. I will pass on this special deluxe upgrade package and just take the free Leadership ebook, Power-Tips mini-course and Paragons ezine subscription. I know I'll never be given this opportunity ever again and I'm OK with that. I also understand that this One-Time-Offer page will NEVER be made available to me again. I wish all those who buy this offer the best of luck with it and I hope they will be successful using it. I am ready to pass on all this.